Wawa Energy Solutions has qualified experts and engineers in various areas of the renewable energy field that are available to provide project management consulting services from the conception stage to delivery of your complex projects. When you are face with complex solar projects that require technical and engineering expects, call us so we can get to work for you by putting our know-how at your services from the day we are engaged to the delivery and inspection of your project. We want to be your trusted advisor and committed partner in renewable energy projects. At Wawa Energy Solutions (HEA), we can help you obtain PPA for your projects in various countries in Africa. Please contact Us and our seasoned Subject Matter Experts (SME) will be delighted to work with you on your PPA projects. 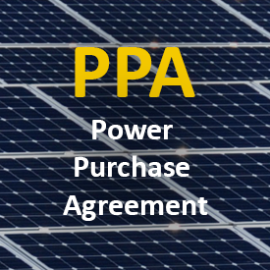 For your PPA consultancy project in Africa, please contact Us at info@wawaenergysolutions.com.